24 Dec 12: From all at FISTS, have a very happy Christmas and a healthy and happy New Year. 22 Dec 12: Ladder Sunday: Like to say 'Happy Christmas' on-air to other members? You can do this in the final FISTS 2012 Ladder sessions tomorrow (Sunday 23rd December, 14:00-16:00 & 18:00-20:00 UTC). These are relaxed events with a minimum exchange of name, QTH and (if applicable) FISTS member number. Call CQ or call other people at a speed of your own choosing. Activity is typically around 14.058, 7.028 and 3.558 MHz. 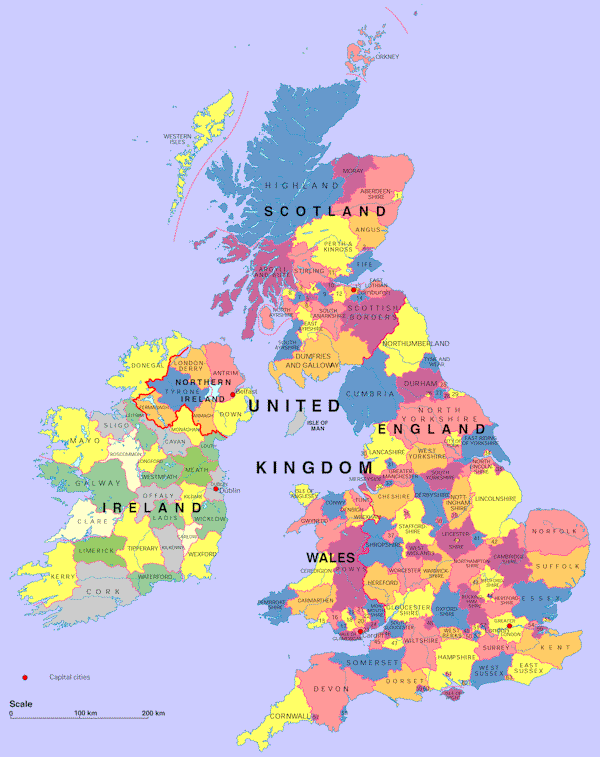 21 Dec 12: UK 472 kHz and 5 MHz Bands: Holders of UK Full Amateur Radio Licences can now apply for NoVs for these bands online. Please note that these NoVs can be applied for at any time but do not come into effect until 1 January 2013. 08 Dec 12: Ladder Sunday: The next FISTS Ladder sessions are on Sunday 9th December, 14:00-16:00 & 18:00-20:00 UTC. These are relaxed events with a minimum exchange of name, QTH and (if applicable) FISTS member number. Call CQ or call other people at a speed of your own choosing. Activity is typically around 14.058, 7.028 and 3.558 MHz. David VK3DBD will be on 20m and 30m around 0800 UTC each day. 30 Nov 12: Join us in FISTS Straight Key Week 2012, Sun 2nd - Sat 8th December UTC inclusive. Use your straight (pump) key or a sideswiper and enjoy relaxed QSOs. One QSO with a station per day and exchange a minimum of RST, name, QTH, member number (if available) and day number 1, 2, 3... Log submissions are desirable but not essential - the main thing is to enjoy the QSOs. Hope to hear you there! 25 Nov 12: The FISTS Down Under December 2012 newsletter is now available. 24 Nov 12: Ladder Sunday: The next FISTS Ladder sessions are on Sunday 25th November, 14:00-16:00 & 18:00-20:00 UTC. These are relaxed events with a minimum exchange of name, QTH and (if applicable) FISTS member number. Call CQ or call other people at a speed of your own choosing. Activity is typically around 14.058, 7.028 and 3.558 MHz. 16 Nov 12: The FISTS Brasspounder October 2012 newsletter has just been published by Rob M0BPT. Brasspounder provides news, views and results for FISTS Activities in Europe/UK. 12 Nov 12: Would you like a QSO with Chile? David CE2WZ is happy to set up skeds with FISTS members who would like a contact with Chile on CW. He has 6m, 10m, 12m, 15m, 17m, 20m and 40m and can be contacted by email. 10 Nov 12: Ladder Sunday: The next FISTS Ladder sessions are on Sunday 11th November, 14:00-16:00 & 18:00-20:00 UTC. These are relaxed events with a minimum exchange of name, QTH and (if applicable) FISTS member number. Call CQ or call other people at a speed of your own choosing. Activity is typically around 14.058, 7.028 and 3.558 MHz. 08 Nov 12: This Youtube video shows an unusual technique for using a straight key. The video is entitled 'Remembrance with Morse Key'. Note: as there seem to have been improvements in the PDF to Kindle conversion, I have not created a PRC version this time; let's see how things go with the PDF. 02 Nov 12: The RSGB Marconi CW 2m Contest is this coming Weekend, 3rd November 1400 UTC - 4th November 1400 UTC. It is part of a Europe-wide contest and is the third out of three RSGB VHF CW contests (4m, 6m and 2m). 27 Oct 12: Ladder Sunday: The next FISTS Ladder sessions are on Sunday 28th October, 14:00-16:00 & 18:00-20:00 UTC. These are relaxed events with a minimum exchange of name, QTH and (if applicable) FISTS member number. Call CQ or call other people at a speed of your own choosing. Activity is typically around 14.058, 7.028 and 3.558 MHz. UK members, bear in mind the clock change from BST to UTC on Sunday. 27 Oct 12: UK: On Sunday 28th October at 20:00, BBC2 is repeating 'Code-Breakers: Bletchley Park's Lost Heroes'. The documentary reveals the secret story behind one of the greatest intellectual feats of World War II, a feat that gave birth to the digital age, and gives overdue recognition to the brilliance of Bill Tutte and Tommy Flowers. Thanks to Dave M0GGK for spotting this. 25 Oct 12: The video 'Vadrum Speaks Morse Code' is a lively interpretation of the Morse alphabet. Be aware that the rhythms of a few of the letters are wrong due to them having been "bent" to fit the music (similar to what was done with the letters M O R S E in the Inspector Morse theme music). Greetings, My name is Jeff Demers, N1SNB. I wanted to take a quick moment to tell you about a new program to support youth activity on the HF bands. Chances are, if you were like me, getting on the air after getting your first license was a little challenging. Parents were bugged. Pennies were saved. Numerous "compromise" measures were taken to get that first station on the air! My company, Amateur Radio Supplies LLC, of Haverhill, Massachusetts seeks to help a few lucky young hams get on the HF bands and make some contacts! Do you know any deserving young hams? We will be giving away 3 complete HF stations per year in order to support activity on the ham bands. My sincere hope is that you can spread the word to your club membership. Link the giveaway from your club website, mention it in your newsletter - anything you can do to help make sure this program is a success is greatly appreciated. The more kids we can get on the air, the better! Your support is greatly appreciated. The future of ham radio depends on youth activity. Please help spread the word. Nominations and Questions: Randy Rowe, N0TG. 20 Oct 12: The FISTS Brasspounder September 2012 newsletter has just been published by Rob M0BPT. Brasspounder provides news, views and results for FISTS Activities in Europe/UK. 19 Oct 12: The free online books 'Samuel F. B. Morse, His Letters and Journals', Volume I & Volume II are available from Project Gutenberg. The journals were 'Edited and supplemented by his son Edward Kind Morse'. Note that these are text-only and do not contain the original illustrations, but the price is right! 17 Oct 12: The FISTS Down Under November 2012 newsletter is now available. There is an RSGB EGM on 17th Nov. Members can vote online in advance. See The Society's Governance - your time to vote web page for details. 13 Oct 12: Morse Classes at Stockport Radio Society (UK): Mike M6MPC, has kindly agreed to run Morse sessions prior to the start of our regular twice monthly meetings starting on Tuesday 16th October. The sessions will run from 7.00 - 7.30pm and the content will be geared to the attendees present. He will also be able to assist with appropriate software to support home practice between sessions. If you are interested in learning Morse, whether a total beginner or wanting to refresh skills from an earlier era, please attend. To assist Mike prepare for the first session perhaps you could declare your interest by dropping him an email to indicating your current starting level. The society holds its meetings on the first and third Tuesday each month at Walthew House, Shaw Heath, Stockport, Cheshire, SK2 6QS, UK. 12 Oct 12: Ladder Sunday, Sprint Saturday: The next FISTS Ladder sessions are on Sunday 14th October, 14:00-16:00 & 18:00-20:00 UTC. These are relaxed events with a minimum exchange of name, QTH and (if applicable) FISTS member number. Call CQ or call other people at a speed of your own choosing. Activity is typically around 14.058, 7.028 and 3.558 MHz. Also on Saturday 13th October 17:00-21:00 UTC is the FISTS North America Fall Sprint. Members worldwide are invited to participate in both events. 11 Oct 12: The results for the FISTS Silver Jubilee Week on-air activity have been published by Rob M0BPT. 10 Oct 12: Next week (Oct 17-20), the IARU High Speed Telegraphy World Championship will be held in Beatenberg, Switzerland. Teams from at least 16 countries, from as far away as Mongolia and Japan, will be participating. From Tuesday through Saturday, we will be running a special event station HB9HST, which will be available to our guests. I can't make any promises about how fast or slow they will be sending their CW; it should prove interesting. Please listen for us and give our guests a nice pileup! Or if you happen to be in the neighborhood, stop by for a visit -- it's a lovely part of the country, overlooking Lake Thun and our Eiger/Monch/Jungfrau peaks in the Bernese Highlands. 09 Oct 12: The October edition of the "morsEAsia" newsletter from FISTS East Asia is available. 07 Oct 12: Wanted!!! Experienced Morse Operators who share the ideas of the Morse Crusade, who would like to mentor Morse students in their own area. Your name will be added to the Directory of Mentors with contact details for students to contact you directly. http://www.themorsecrusade.g5fz.co.uk/support-2/directory-of-mentors/ . 29 Sep 12: GB2BT: I shall be running this special event station to commemorate the Navy Shutter Telegraph over 200 years at Bell Hill Dorset. 29 Sep 12: The society has been approached by the BBC, asking for help regarding the production of a four part series looking at inventions and technology throughout the centuries. One of the topics that will be covered is communication/Morse code. Briefly. They are asking for 2 persons with original or replica working telegraph systems of the era, who can commit to travelling to a location in Shropshire (Location to be confirmed) and be filmed portraying the sending of a message using either wired and/or wireless telegraphy of the era, in the presence of the programme's presenters. They hope to have a graphic projected showing the characters sent by the said individuals in a typical message. This will take place during early November, on or around the 12th, so a matter of urgency in replies are needed if anyone can commit to taking part in this TV series. I look forward to hearing from you, so details can be passed on to the programme's producers. 27 Sep 12: Pileup Runner is a simulator of DX pileups. It is intended for the DX-pedition operators and those who are curious how the pileup looks and sounds at the DX side. Compared to Morse Runner, which is a contest simulator, Pileup Runner has an extra dimension: frequency. In this program just working the callers is not enough. To be successful, you also have to tune your receiver through the pileup in a smart way. The program is freeware, currently in the beta stage. Grab a copy at http://www.dxatlas.com/PileupRunner ! 27 Sep 12: The FISTS Down Under October 2012 newsletter is now available. FISTS Down Under is the Australian & New Zealand Chapter of the FISTS Club. 23 Sep 12: Last orders! The final date for ordering FISTS 25th Anniversary engraved glassware is 30th September 2012. Please note that FISTS 25th Anniversary mugs (no callsign) and other items are are available from FISTS North America. 22 Sep 12: The next FISTS Ladder sessions are tomorrow (Sunday 23rd September) 14:00-16:00 and 18:00-20:00 UTC. These are relaxed events with a minimum exchange of name, QTH and (if applicable) FISTS member number. Call CQ or call other people at a speed of your own choosing. Activity is typically around 14.058, 7.028 and 3.558 MHz. 21 Sep 12: The FISTS Brasspounder August 2012 newsletter has just been published by Rob M0BPT. Brasspounder provides news, views and results for FISTS Activities in Europe/UK. The CW CX will run from 1300 UTC September 23 to 0700 UTC September 24, 2012. The CX is a no-pressure contest celebrating the older commercial and homebrew equipment that was the pride and joy of ham shacks many decades ago. The object is to encourage restoration, operation and enjoyment of this older "Classic" equipment. The GTC CW Cup committee would like to remind you that the 2nd GTC CW Cup will be held on 6th October 2012 - 1200UTC until 7th October 2012 - 1200UTC. We are all going to be there and it will give us great pleasure to work you. It was really great to see many new members joining GTC after the 1st GTC CW Cup, resulting in our current members totaling 282 (up to 19th September 2012)!! Top scorers of categories A and B will receive, again this year, beautiful trophies. !! Please take the time to read the new rules carefully and comply with them !! 18 Sep 12: This Youtube video shows Fabio IK0IXI, FISTS #14539, operating a 1909 Mecograph bug key that he has just restored. Fabio writes: "A brief transmission using an old Mecograph 'Right angle' semiautomatic key. It was made after first W. O. Coffe patent of 1904. That patent was the first mechanical-only semiautomatic key. The Coffe's mechanism involved the release of spring tension to create a vibration and the horizontal right angle versions were built by Bellows at Mecograph Co. until his death in 1913. Thanks to Ron G3YUH for some missing parts for the rebuild." 16 Sep 12: On Demand Morse tests from 5wpm to 30wpm will be available at the National Hamfest 2012 (UK, 28-29 Sept.) www.nationalhamfest.org.uk, also Ian G4XFC founder of the Morse Crusade www.themorsecrusade.g5fz.co.uk will welcome anyone who wishes to discuss their Morse problem with him. To book a Morse Test or contact Ian, go to the National Hamfest Information Desk. 16 Sep 12: We hope everyone enjoyed the FISTS Silver Jubilee Week on-air activity. While submitting logs is not a requirement, we would very much appreciate them. They can be sent by email or by post. For further details, please see the Activity Calendar. Note: Contacts with MO5IPX, FISTS #7778, are worth 10 points as are contacts with other FISTS HQ stations. About 1999 a limited edition pressing of five compact disks was produced by Radio Officer, Finbar O'Connor of the closedown of Malin Head Radio in County Donegal in Ireland. A complete set of the rare recordings has been located and with the kind permission of the author, they have been uploaded to the Internet Archive for your enjoyment. Included on CDs two and three are among other recordings the famous "Field Recordings" of Mr. O'Connor where he took a battery portable radio and went to a remote location to record the activity of 500 kHz Morse ship and shore wireless telegraphy. Our collective thanks to R/O O'Connor, EI0CF, for this valuable contribution to marine history. Rob M0BPT, FISTS QSL Bureau, PO Box 6743, TIPTON, DY4 4AU, ENGLAND, UK. The list of addresses for Rob and the QSL Bureau Sub-managers, and other information about the bureau, is available on the QSL Bureau web page and is printed in each Key Note. 07 Sep 12: The FISTS club callsign GX0IPX is on the air for a while, currently (10:30 UTC) on 40m. 01 Sep 12: The FISTS Eu Silver Jubilee Week on-air activity runs from Sunday 2nd September 00:01 UTC to Saturday 8th September 23:59 UTC, celebrating the club's 25th year. Members, non-members, experienced and less-experienced operators are all warmly invited to join in a week of enjoyable CW. Most activity will be on 80m (3.558 MHz and lower), 40m (7.028 MHz and lower) and 20m (14.058 MHz and lower) depending on conditions, although contacts can take place on any band except 30m, 17m and 12m. Logs are welcomed but not essential and certificates will be awarded to leading participants. Contacts are relaxed and conversational, with a minimum exchange of callsign, QTH, name and, if applicable, FISTS member number. 29 Aug 12: The FISTS Down Under September 2012 newsletter is now available. 28 Aug 12: Correction: FISTS North America's G3ZQS Memorial Straight Key Contest starts on Friday 7th September 23:00 UTC and runs until Sunday 9th September 23:00 UTC and not the dates stated in the European Summer 2012 Key Note and website events lists. Apologies for this error. 26 Aug 12: The future IC-7100 transceiver will have 4m (70 MHz) CW at 50 Watts. Icom showed an example of the their upcoming IC-7100 multimode transceiver at the Tokyo Ham Fair, which will include HF (100W), 6m (100W), 4m (50W), 2m (50W) and 70cm (35W). 4m will only be available in the European version of the transceiver. Icom has not yet released any information about price or release date. 25 Aug 12: The next FISTS Ladder sessions are on Sunday 26th August. These are relaxed events with a minimum exchange of name, QTH and (if applicable) FISTS member number. Call CQ or call other people at a speed of your own choosing. Activity is typically around 14.058, 7.028 and 3.558 MHz. I'll be visiting Brisbane, Australia from 23 September to 23 December, operating as LZ1AF/VK4 with TS590S and a dipole. Lazy holiday-style operation on the 14 to 50 MHz bands, no "599 UP" mostly CW. My operating position will be in a back yard by a swimming pool. QSL cards are being printed. 17 Aug 12: Hendricks QRP Kits, which closed temporarily for orders in July due to a family bereavement, is now open for orders again. 15 Aug 12: The FISTS Brasspounder July 2012 newsletter has just been published by Rob M0BPT. Brasspounder provides news, views and results for FISTS Activities in Europe/UK. 10 Aug 12: FISTS will be at the Telford HamFest (UK) on Sunday 2nd September 2012, so please come and say hello. The doors open at 10:30am and maps etc. are available from the Telford HamFest website. 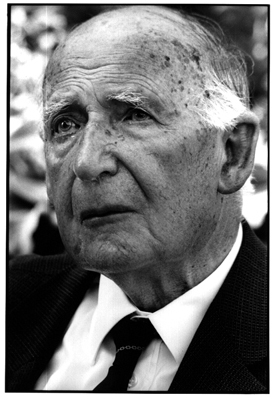 08 Aug 12: Sir Bernard Lovell, OBE FRS, passed away on the 6th August 2012 at the age of 98. Sir Bernard, Emeritus Professor of Radioastronomy, was the founder and first Director of The University of Manchester's Jodrell Bank Observatory in Cheshire, UK. 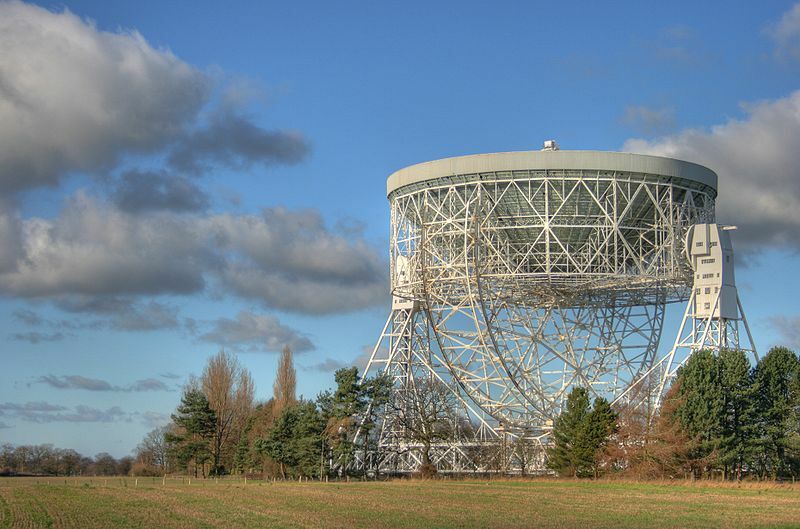 He led the design and construction of the 250 foot, fully steerable radio telescope there, completed in 1957, and has been an inspiration to radio and astronomy enthusiasts in the UK. There is an obituary available and condolences can be left by visitors to the Jodrell Bank Discovery Centre or online. 07 Aug 12: In September contest - "KULIKOVO POLYE CONTEST" will be held. We invite fans of telegraph to take part in these contest. In the countries colourful memorable certificates of participants will be dispatched to winners. The Chelmsford Amateur Radio Society (CARS) will be holding Morse Code classes at Danbury starting Thursday, August 30, 2012. If you are a beginner you will be made very welcome. We can start you off on this great aspect of our hobby. If you would like to improve, or just need encouragement to get on the air, please join us. Instruction is also given on all aspects of CW - which include good manners on the air; how to have that CW chat; DX manners; Contesting and operating skills on the pump key and twin paddle keying. Venue: Danbury Village Hall, starting Thursday August 30 at 7 pm. Contact: Andy Kersey G0IBN, Tel: 01621 868347 or email. 03 Aug 12: The Summer 2012 Key Note (Eu) is now available to all FISTS members. Please click the link below to get your copy. As well as a PDF version, there is an eBook (.PRC) version; parts of it may look better on devices such as Kindles but the layout is poor; I recommend the PDF. 01 Aug 12: We're very sad to report that Giancarlo "Gian" Vaia, I2VRF, FISTS #8325, is now a silent key. Gian was well known to many members. 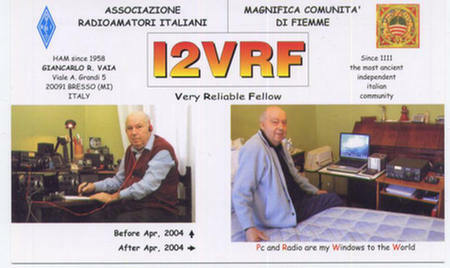 Despite severe health problems, he kept cheerful and enjoyed staying in contact by radio and with his computer. He will be much missed and our thoughts go to his family. 01 Aug 12: The Counties Week 2012 results have been published by Rob M0BPT. I've just released a new version of cwwav, version 0.4, with added support for UTF-8 files and a number of accented letters, suitable for at least Scandinavian languages and German, maybe French too. I also added Jules Verne: A Journey to the Centre of the Earth to the examples, and a conversion script to convert it to MP3 CW's in chapters. It sounds really good with new settings. This software runs on Linux and instructions are available in the README. It's probably possible to run on Windows and maybe one day I'll release a precompiled version. cwwav takes one or more text files (or text read from standard input) and converts the text into a WAV audio file containing the CW (Morse code) representation of the text. It's useful for generating practice files if you are learning CW and want to practice by listening to text. It's a very simple program but it is designed to do what it does well. That is, it is designed to produce good sounding CW output files, with proper timing and comfortable envelope to avoid keyclicks and to make the CW softer. Release Notes: This release adds UTF-8 text file support and support for a number of European accented letters; it should be able to transcribe Danish/Norwegian/Swedish/German files, and possibly French. It also changes paragraph breaks (an empty line in the input) to produce a short pause instead of " = ". It adds "A Journey to the Interior of the Earth" by Jules Verne (from Project Gutenberg) to the examples, along with a conversion script with some nice settings. 29 Jul 12: Sadly, Heathkit has now gone and the owner of the company is filing for bankruptcy. Many older amateur radio enthusiasts have fond memories of Heathkit's extensive catalogue of kits, many of which are still on the air today. The Heathkit Virtual Museum website is well worth a visit. 27 Jul 12: The FISTS Down Under August 2012 newsletter is now available. 24 Jul 12: New Begali paddle keys, the Magnum and the Expedition, were introduced at the Dayton Hamvention 2012. The Magnum is a heavy weight, high performance key with adjustable finger piece spacing from about 1/4" to a little over 1/2". The Expedition is an economical, no-frills and high-performance key. For more information, please see http://www.i2rtf.com. 24 Jul 12: The next Ladder sessions are on Sunday 12th August. Please submit July entries by 5th August. 18 Jul 12: The temporary special letter O (e.g. M5IPX becomes MO5IPX) in UK callsigns starts on Saturday 21st July for holders of a Notice of Variation (N.O.V.). The O prefix is available for 7 weeks and celebrates the Olympic Games. It's not too late to apply online for an N.O.V. here. For more information, please see the RSGB announcement. This will be very helpful for FISTS members working towards the Prefix Awards; you can count the same FISTS member more than once towards the Prefix Awards under their standard and special callsigns, e.g. MO5IPX and M5IPX count as two separate prefixes, i.e. MO5 and M5. 17 Jul 12: Many members will be familiar with Hendricks QRP Kits, which supplies a wide range of CW QRP and other kits such as the famous PFR3. Sadly, Doug Hendricks' wife passed away on July 16th and the kits store will be closed for a few weeks. Condolences can be sent to Doug via email; please see the Hendricks QRP Kits website for details. 16 Jul 12: The FISTS Brasspounder June 2012 newsletter has just been published by Rob M0BPT. Brasspounder provides news, views and results for FISTS Activities in Europe/UK. 10 Jul 12: The FISTS North America Summer Sprint takes place this coming Saturday, 14th July, 00:00-04:00 UTC (Friday, July 13th 20:00-24:00 EDT). Members worldwide are invited to participate. 09 Jul 12: The next Ladder sessions are on Sunday 22nd July, 14:00-16:00 UTC and 18:00-20:00 UTC. 07 Jul 12: The July edition of "morsEAsia" from FISTS East Asia is available. 02 Jul 12: The JARL Ham Fair 2012 will be held at Tokyo Big Sight, Ariake, Tokyo on August 25th (Saturday) and 26th (Sunday). Some of FISTS JA volunteers will exhibit the FISTS East Asia (FEA) booth this year. We are planning to display name, callsign, message, and photo of members on a booth wall. Would you email me a short message and your face photo by August 18 0900 UTC? 27 Jun 12: The FISTS Down Under July 2012 newsletter is now available. 25 Jun 12: The next Ladder sessions are on Sunday 8th July. Please submit June entries by 5th July. The RSGB Contest Committee invites you to participate in the inaugural 50MHz CW contest. This takes place on Sunday 24th June from 0900-1200 UTC (10 a.m. - 1 p.m. BST), and it should appeal both to 6m enthusiasts and also to HF CW operators who have 6m facilities. Conditions recently have been good, with Sporadic-E openings and some fine DX. You can get on the air with a simple antenna such as a dipole, or perhaps press an HF antenna into service through an ATU. There are now three RSGB VHF CW contests, for 4m, 6m and 2m, with an award for the best overall performance. We hope you will take part on Sunday. 17 Jun 12: The next Ladder sessions are on Sunday 24th June. 17 Jun 12: Telford and District Amateur Radio Society, FISTS #15554. Will be visiting Guernsey between the 22-27 June. Peter and I will be operating on FISTS frequencies 80, 40, 20 HF plus operating on 6, 4 and 2 metres. When we can wrestle radio from my brother 2W0ZJA. The best way to get a QSL is email me the details and I will send you one via RSGB or FISTS buro. 15 Jun 12: The FISTS North America website has had a major makeover by its new webmaster, Dennis K6DF, FISTS #3076. 13 Jun 12: Please listen out for 8J3A on June 16 01:30 UTC 18.085Mhz, operated by Hiro JA3UMK, FISTS #15103. 8J3A is a special event station celebrating the KANHAM Kansai Amateur Radio Festival. 13 Jun 12: In memory of Derrick Price G3LYU, FISTS #1608, who passed away on April 7th 2012, Bob Dray G3SHD will be operating Derrick's former SOE 'B2' set on the air on Friday 29th June 2012, CW-only. This is being staged in support of the town's 'Veterans Day' buffet held at the community centre, where former Servicemen and Servicewomen meet, chat and celebrate the service they have rendered. 11 Jun 12: The FISTS Brasspounder May 2012 newsletter has just been published by Rob M0BPT. Brasspounder provides news, views and results for FISTS Activities in Europe/UK. 08 Jun 12: This YouTube video shows the GB100MGY Titanic special event station being operated by FISTS member David G3UFO, #14597. 08 Jun 12: FISTS Counties Week 2012 starts this coming Sunday 10th June 00:01 UTC and runs continuously for 7 days. FISTS members worldwide are encouraged to join in. QSOs are very relaxed with (at a minimum) an exchange of name, QTH, member number and county (or equivalent). They can be with members and non-members on all bands except 30m, 17m and 12m; keep an ear out on and around the FISTS Frequencies. It's not necessary to submit a log afterwards, but they are very much appreciated. Even if you're not competitive, it's an excellent opportunity to come on the air and meet old friends and make new ones. 08 Jun 12: The Titanic 24 Hour Sprint 2012 results have been published by Rob M0BPT. 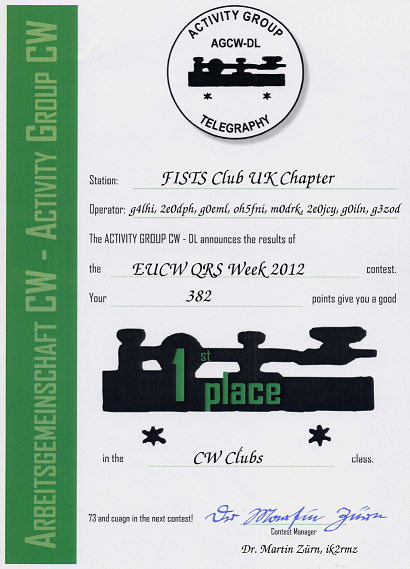 08 Jun 12: FISTS achieved the top club position in the EUCW QRS Activity Week. In the individual over 5 watts category, FISTS Members Peter G4LHI #2219 and Ray G0EML #3774 were placed in first and third positions respectively. Phil 2E0DPH #14543 achieved second place in the 5 watts and under section. In addition to Peter, Ray and Phil, the following members contributed to the club position: Timo OH5FNI #15516, Derek M0DRK #8344, John 2E0JCY #13253, Richard G0ILN #398 and Graham G3ZOD #8385. For the full results, please see https://eucw.org/euqrs12.html. For more information about FISTS Awards, available to FISTS members worldwide, please see the Awards web page. 02 Jun 12: HB1B owners are invited to join the HB1B Yahoo Group newly set up by Billy M0JHA, FISTS #12589. 31 May 12: The next Ladder sessions are on Sunday 10th June. Please submit May entries by 5th June. 31 May 12: The FISTS Down Under June 2012 newsletter is now available. 22 May 12: The FISTS 25th Anniversary Mug offer is now closed. However, 25th Anniversary Glassware is available. Also, mugs without callsigns can be purchased from FISTS North America. 21 May 12: The FISTS Brasspounder April 2012 newsletter has just been published by Rob M0BPT. Brasspounder provides news, views and results for FISTS Activities in Europe/UK. 18 May 12: The Exchange Your Age Week (EYAW) 2012 results have been published by Rob M0BPT. 18 May 12: The next Ladder sessions are on Sunday 27nd May 14:00-1600 UTC and 18:00-20:00 UTC. 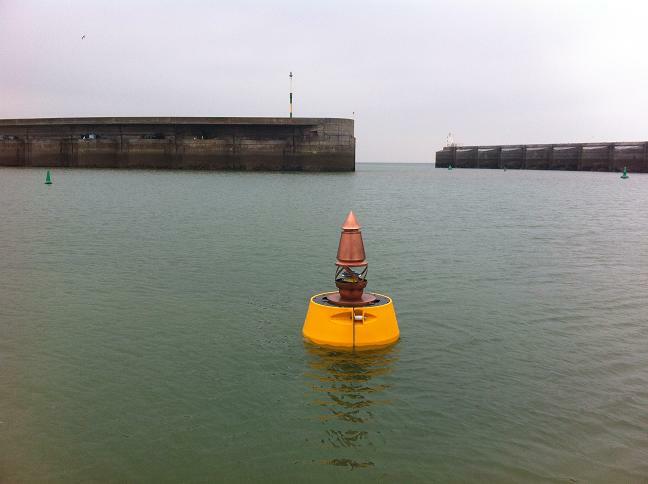 15 May 12: During May, as part of the Brighton Festival (UK), the arts group "Invisible Flock" have floated a data buoy in Brighton Marina that participants on their walk can communicate with via text message. The buoy translates the messages into Morse code and blinks them out through the night. For more information, please see their website. 14 May 12: FISTS news is now also posted to the new Google+ page. 09 May 12: The FISTS North America Spring Sprint takes place this coming Saturday, 12th May 2012, 1700-2100 UTC. Members worldwide are invited to participate. 07 May 12: Photos of an Elecraft KX3 during construction taken by Steve WG0AT have been published by John AE5X. The KX3 is Elecraft's new high performance, multi-mode, 160m - 6m QRP transceiver. 05 May 12: RSGB QSL Bureau users: make sure that your current callsign and any additional callsigns are registered with the RSGB or else your QSL envelopes may be returned to you. 04 May 12: Chelmsford Museum (UK)'s exhibition Marconi and The Sea is from 14 April to 8 July 2012. One of Chelmsford's prime industrial landmarks, Marconi's New Street Factory, was opened one hundred years ago. This exhibition unravels the connections between Guglielmo Marconi's early company and the needs of communication at sea. For more information, please see the exhibition's web page. 03 May 12: We are offering engraved brandy glasses and whisky tumblers in celebration of FISTS 25th Anniversary this year at £6.99 (GBP). Delivery to the UK is: brandy glass £5.50 (GBP), whisky tumbler £6.50 (GBP) or a set of both £9.30 (GBP). For an additional £1.00 (GBP) per item, you can have your callsign engraved. For more details, please see the FISTS 25th Anniversary Glassware web page. 02 May 12: In celebration of Her Majesty the Queen's Diamond Jubilee, Gibraltar hams will be operating with the special prefix ZQ2 as from 5th May till 15th June, 2012. 02 May 12: The April edition of "morsEAsia" from FISTS East Asia is available. 02 May 12: The letter Q (e.g. MQ0CDL) in UK callsigns starts on Saturday 5th May for holders of a Notice of Variation (N.O.V.). The Q prefix is available for 5 weeks and celebrates the Queen's Diamond Jubilee. You can apply online for an N.O.V. here. For more information, please see the RSGB announcement. This will be very helpful for FISTS members working towards the Prefix Awards; you can count the same FISTS member more than once towards the Prefix Awards under their standard and special callsigns, e.g. M0CDL and MQ0CDL count as two separate prefixes. 28 Apr 12: The FISTS Down Under May 2012 newsletter is now available. 27 Apr 12: Jim G4YLB has uploaded rare 1991 video footage of George G3ZQS and Bill G2AKK talking about Morse code, the FISTS CW Club which they founded and Samuel Morse. Following this are excerpts from three days during which the FISTS CW Club and Darwen Amateur Radio Club (DARC) put the callsign M0RSE on the air to celebrate Samuel Morse's 200th birthday. The FISTS CW Club that George and Bill founded is now celebrating 25 years of promoting Morse code, 1987-2012. 26 Apr 12: The latest version (2.4.1) of the FISTS Log Converter Windows program allows contacts to be excluded from EUCW QRS Activity Week submissions by including FISTSACTIVITIES EXCLUDE in the log book's COMMENT or NOTES fields. 23 Apr 12: The next Ladder sessions are on Sunday 13th May. email April entries by 5th May please. 21 Apr 12: The EUCW QRS Activity Week, 23-27th April, replaces the QRS Party that was previously organised by FISTS. It remains first and foremost a social event. Notable changes from previous years are that participants are no longer asked to exchange club names and member numbers during QSOs (at a minimum just RST, name and QTH), and the recommended frequencies are different. Note that the FISTS Log Converter program for Windows supports creating log submissions for the QRS Activity Week. 19 Apr 12: The next Ladder sessions are on Sunday 22nd April 14:00-1600 UTC and 18:00-20:00 UTC. 15 Apr 12: The FISTS Brasspounder March 2012 newsletter has just been published by Rob M0BPT. Brasspounder provides news, views and results for FISTS Activities in Europe/UK. 13 Apr 12: Meet up with other FISTS members during the FISTS Titanic Sprint taking place this coming Sunday 15th April, 00:01-23:59 UTC. The up-to-date list of special event stations is here. 13 Apr 12: FISTS Down Under Awards are now tracked by the new FISTS Log Converter version 2.4.0 Windows program. 12 Apr 12: If you're within reach of Lichfield, UK, and would like a Morse activity for the children on Saturday 14th April, there's a Morse-Code Challenge at Beacon Park for ages 7+. 08 Apr 12: Scientific American have reproduced their 1912 report on the loss of the Titanic. Thanks to Tony G3ZRJ, #7727 for the information. 07 Apr 12: The new version (2.3.3) of the free FISTS Log Converter Windows program includes improvements for the upcoming Titanic Sprint (Sunday 15th April 2012). 06 Apr 12: Gi2012MGY, a special event callsign located in Belfast from onboard the SS Nomadic - Titanic's 'Little Sister'. To mark the Centenary of the sinking of the Titanic, City of Belfast Radio Amateur Society will be QRV on most HF bands, CW and SSB, from onboard 'the Nomadic' from 12th - 18th April. The SS Nomadic is the only remaining historic link to the Titanic left afloat, and she is also the last surviving White Star Line vessel in the world. Like Titanic herself she was built at the shipyards of Harland and Wolff in Belfast, Northern Ireland,and served as a tender to the Olympic and Titanic. Please see Gi2012MGY on QRZ.com for QSL details and further information. 05 Apr 12: UK members: It's an idea to send in stamped, addressed envelopes to your FISTS QSL bureau sub-manager before the postage price hike at the end of April. Use stamps that have "2ND" printed on them rather than the price, so that they will still be valid after April. See the FISTS QSL bureau web page for the sub-manager addresses. Don't forget to write your callsign on your envelopes! 03 Apr 12: The FISTS Down Under April 2012 newsletter is now available. 31 Mar 12: The Spring 2012 Key Note (Europe/UK) is available from the website's Members' Area's Key Notes Archive. As well as a PDF version, there is an eBook (.PRC) version. Parts of it may look better on devices such as Kindles but the layout is poor; the PDF is recommended. CQ to all friends of maritime radio. To commemorate the 100th anniversary of the sinking of RMS Titanic - MGY a century ago, there will be a special broadcast on longwave frequency 147,3 kHz by national weather service Deutscher Wetterdienst (DWD) from Pinneberg / Germany. People may tune in and listen to this Morse code transmission on DDH47. Amateurs might contact DL0SWA on HF bands. During silence periods of former maritime service, the names of radio officers will be transmitted in extra slow keying mode (qrss3) of one dot at 3 seconds for long distance and low level reception. This event is held from 14th April 2012, 22:30 GMT until 15th April 2012, 02:00 GMT. Look out for GI100MGY, from Titanic's Home City of Belfast during the Month of April. MGY was the Callsign of the Ill-fated ship, which had been launched in Belfast in May 1911. The GI100 is a very special prefix, kindly allocated to the "Project WhiteStar" special event team by Ofcom, the UK regulator. We plan to be active all modes, 80m - 10m, with a 2 minute station silence at 01:47am on 15th April, the exact time when the vessel sank, in memory of all those who lost their lives that night. On the evening of 14th/15th, most operation will be on CW. For the 27th Meeting of the Union Francaise des Telegraphistes UFT, The French EUCW CW Society, which will be held in Vineuil (WW Loc. JN07QN) (Near Blois, Center France), Department Loir-et-Cher/41 and Province of Centre (DPF 07), the special callsign TM27UFT will be aired from 8-22 April, 2012. QRV on HF, VHF and even more, CW only. All the QSOs will be confirmed via Bureau. QSL via the bureau to Gerard, F6ICG; same way for SWL cards as well. Direct cards, YL, OM & SWL, okay but only after 15th July, to Gerard, F6ICG. 28 Mar 12: The next Ladder sessions are on Sunday 8th April. email March entries by 5th April please. location New Brighton, Wirral. U.K., this special call-sign remembering the sinking of the Titanic 100 years in April, will be on all amateur bands from 6th April till 26th April 2102. We also have special permission from OFCOM UK to use this call-sign between 12th and 18th April on the 501 to 504 bands, we will be transmitting on 502khz and cross-band, for those without transmitters for 500khz band on 3566 khz or 7066 khz depending on propagation conditions. 502khz will be operated mainly in the evenings and overnight; will be on 14/15 April the date the Titanic sank. A nice QSL card is available for contacts made QSL to BOB M0BZZ either direct or via the buro. Many thanks from John Hudson, M0CMW. 21 Mar 12: A Mug Shots web page showing various members and their FISTS 25th Anniversary Mugs has been set up by Rob, M0BPT. Additional photographs are welcomed. 19 Mar 12: In a video Visiting G4FAD by Sandy G0VQW #3739, Rich G4FAD #14086 shows his new beam and TenTec Omni VII in action on CW to Sandy and Tony G3ZRJ #7727. 17 Mar 12: The FISTS Brasspounder February 2012 newsletter has just been published by Rob M0BPT. Brasspounder provides news, views and results for FISTS Activities in Europe/UK. "I hope to work some of the Fists members while I am up there and be out portable for at least a couple of days with my own callsign. The rest of the time I will be helping to operate GS3PYE. The best thing for anyone who wants to work us will be to look at the on-line Log Book (it's not shown on the website just yet), which is in real time give or take a few minutes. We have not used this location before and are not sure if we can get an Internet connection. However we have managed some sort of hook-up every year so far! The on-line logbook works really well, and helps direct people to the exact frequencies we are operating from, and saves a lot of searching around the bands." For more information, please see the Camb-Hams website. 13 Mar 12: Congratulations to Ian G4MLW, #130, who is the first person in the world to win the Version One and Two FISTS Prefix Awards. These awards started on the 1st January this year as part of the FISTS 25th Anniversary celebrations and require contacts with 250 distinct callsign prefixes, of which a minimum of 25 must be with FISTS members. For more information, please see Prefix Awards. 13 Mar 12: In a short video, Jon G0SDT, #15515, demonstrates what hand-sent Morse code should sound like. 13 Mar 12: Orders are being taken for the third batch of FISTS 25th Anniversary Mugs. The aim is to dispatch them by the end of April. 12 Mar 12: Congratulations to Ken M3XZT, #14081 on achieving his intermediate licence and new callsign 2E0KAO. 12 Mar 12: The next Ladder sessions are on Sunday 25th March. Please send your Exchange Your Age Week 2012 logs to Rob M0BPT by email or post, to be received by 30th April 2012. 07 Mar 12: Congratulations to Barry 2E0CEW, #15539 on achieving his full licence and new callsign M0HBM. 07 Mar 12: FISTS Eu members can now see when their subscription is due and the subscription type (paper or Internet) on the website's Members' Area web page. 07 Mar 12: FISTS club call GX0IPX #1 is on the air today (Wed 7th March) for a few hours from 10:20 UTC. Bands are likely to include 40m and 20m and possibly others. GX0IPX is worth 5 points towards the Century and QRP series of awards and Exchange Your Age Week 2012. 07 Mar 12: FISTS will be at the Wythall Rally (UK) this coming Sunday, 11th March. The rally is located near Wythall, Birmingham, UK, and opens at 10am. Please come and say 'hello'. 02 Mar 12: The next Ladder sessions are 11th March. email February entries by 5th March please. 02 Mar 12: FISTS Exchange Your Age Week 2012 (EYAW) starts this coming Sunday 4th March 00:01 UTC and runs continuously for 7 days. FISTS members worldwide are welcome to join in. QSOs are very relaxed with (at a minimum) an exchange of name, QTH, member number and age. They can be with members and non-members on any band except for 30m, 17m and 12m; keep an ear out on and around the FISTS Frequencies. It's not necessary to submit a log afterwards, but they are very much appreciated. Even if you're not competitive, it's an excellent opportunity to come on the air and meet old friends and make new ones. 01 Mar 12: UK amateurs can now apply online for NOVs to vary their personal and club callsigns for the Queen's Diamond Jubilee (5 weeks with a letter Q in place of a regional identifier) and the period of the Olympic Games and Paralympic Games (7 weeks with a letter O in place of a regional identifer). This will be very helpful for FISTS members working towards the Prefix Awards; you can count the same FISTS member more than once towards the Prefix Awards under their standard and special callsigns. 28 Feb 12: The new version (2.3.2) of the free FISTS Log Converter Windows program includes improved handling of QTHs and States. 27 Feb 12: The FISTS North America website is now fully operational again. 27 Feb 12: There are ongoing technical issues with the FISTS North America website www.fistsna.org. In the meantime, please see this page for details on joining FISTS North America. 27 Feb 12: The FISTS Down Under March 2012 newsletter is now available. 18 Feb 12: The FISTS Brasspounder January 2012 newsletter has just been published by Rob M0BPT. Brasspounder provides news, views and results for FISTS Activities in Europe/UK. 15 Feb 12: The next FISTS Ladder sessions are on Sunday 26th February 14:00-1600 UTC and 18:00-20:00 UTC (FISTS in Europe but members worldwide are welcome). 10 Feb 12: The FISTS North America Winter Sprint takes place tomorrow, Saturday 11th February 2012, 1700-2100 UTC. Members worldwide are invited to participate. 05 Feb 12: The new version (2.3.1) of the free FISTS Log Converter Windows program covers the UK special 2012 prefixes ("Q" and "O") and adds support for the 2012 EUCW QRS Activity Week. All CW QSO from 29th March 2012 onwards between 7035 and 7040kHz with a minimum length of 5 minutes count for points. Deadline for logs is the 28th March of the following year. Each completed 5 minutes count 1 point, QSO with AGCW members count twice. To determine AGCW membership the membership list downloadable from http://mgl.agcw.de/Mitglieder.xls can be used. Logs should show the columns Date, UTC start, UTC end, c/s of stn wkd, RST sent, RST rcvd, QTH rcvd, Name rcvd, Frequency accurate to 1kHz, AGCW # or "NM", Points. Logs can be submitted monthly until the 7th day of the following month to agcw-40-3@agcw.de. Intermediate scores will be published in the AGCW bulletin, the mailing list ( agcw@mailman.qth.net ) and on the AGCW home page http://www.agcw.de . The annual winner will receive an activity bowl. Thanks to Eddi DK3UZ, AGCW #408, FISTS #15596, for sending the above details of AGCW-40-3. 03 Feb 12: A replica of the Titanic Morse key is going to be produced by Kent Morse Keys. For more information and to register for a pre-launch discount, please see the web page. 02 Feb 12: There are Morse (MP3) audio files at www.feacw.net/snd/ of articles from the January 2012 newsletter "morsEAsia" provided by FISTS East Asia . This includes speeds ranging from 10 to 30wpm. 02 Feb 12: The first batch of FISTS 25th Anniversary Mugs have been manufactured and are awaiting collection and distribution. There will be a second batch produced in April with the aim to dispatch them by the end of April. Be aware that if you order a mug now, it will be for one in the April batch. Depending on the demand for the April batch, we may or may not produce a further batch mid-year. So, to be absolutely sure of getting your mug, please ensure you order in time for the April batch. 31 Jan 12: The FISTS Down Under February 2012 newsletter is now available. 30 Jan 12: The next FISTS Ladder sessions are on Sunday 12th February 14:00-1600 UTC and 18:00-20:00 UTC (FISTS in Europe but members worldwide are welcome). Please submit your January entries for the Ladder by the 5th February to Rob M0BPT. 25 Jan 12: We are offering coffee/tea mugs in celebration of FISTS 25th Anniversary this year. The mugs start at 4.99 GBP + 3.30 GBP delivery to a UK address. They are available in two colour styles, lilac (shown in the photograph) and black. At a small extra cost, you can have your callsign added under the logo on the front or on the rear of the mug. The standard delivery charge covers up to two mugs to UK addresses, so why not get one for yourself and one as a present for a friend? We can deliver these to the UK, Eu and USA. For more details, please see the FISTS 25th Anniversary Mug web page. 18 Jan 12: During 2012, UK individual and club stations can apply to vary their callsigns for the Queen's Diamond Jubilee (5 weeks with a letter Q in place of a regional identifier) and the period of the Olympic Games and Paralympic Games (7 weeks with a letter O in place of a regional identifer). For more information, please see the RSGB announcement. This will be very helpful for FISTS members working towards the Prefix Awards; you can count the same FISTS member more than once towards the Prefix Awards under their standard and special callsigns. 17 Jan 12: I need to hear from UK members who could commit to an individual/group day of operation on behalf of the society for the dates 2nd-8th September 2012 inclusive. I will be more specific with my information/criteria needed when I've heard from interested parties. 16 Jan 12: The FISTS Brasspounder December 2011 newsletter has just been published by Rob M0BPT. Brasspounder provides news, views and results for FISTS Activities in Europe/UK. 12 Jan 12: Please note that FISTS Prefix Award applications must be sent by email or post to or by post to Dennis G. Franklin, 4658 Capitan Drive, Fremont, CA, 94536-5448, USA. 09 Jan 12: The EUCW QRS Activity Week, previously organized by FISTS, is to continue as a permanent event now organized directly by EUCW. The dates for 2012 are April 23, 00:00 UTC to April 27, 23:59 UTC. For more information, please see EUCW QRS Activity Week. 04 Jan 12: The January edition of "morsEAsia" from FISTS East Asia is now available. 02 Jan 12: The next FISTS Ladder sessions are on Sunday 8th January 14:00-1600 UTC and 18:00-20:00 UTC (FISTS in Europe but members worldwide are welcome). Please submit your December entries for the Ladder by the 5th January and Four Seasons by the 7th January to Rob M0BPT. 01 Jan 12: Happy New Year! Remember that the FISTS Prefix Awards have now started. There is no time limit on the Version 1 award, but the Version 2 and 3 Awards need to be completed by 31st December 2012, so it's time to get busy with them! Note an amendment to the Version 3 rules: If no one in a Chapter completes the qualifications, a plaque will be awarded to that Chapter's FISTS member with the highest number of prefixes worked. The number of plaques for each Chapter is still being determined. The Prefix awards are fully supported by the latest version (2.3.0) of the free FISTS Log Converter Windows program. Alternatively, printable log sheets, application forms and spreadsheets will be provided on the website during January.